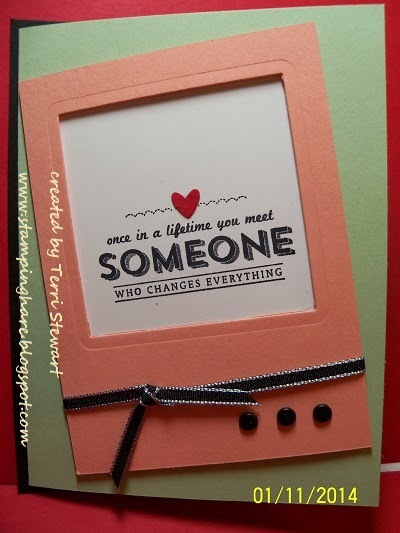 Once again I was lucky enpough to score an invitation to my Stampin Up upline Susan Aten's Extreme Stamping Weekend Extravaganza (ESWE). The bestest upline ever invited me and a few others in her downline to stamp with her at her Ocean City, Maryland condo over a long weekend in January. 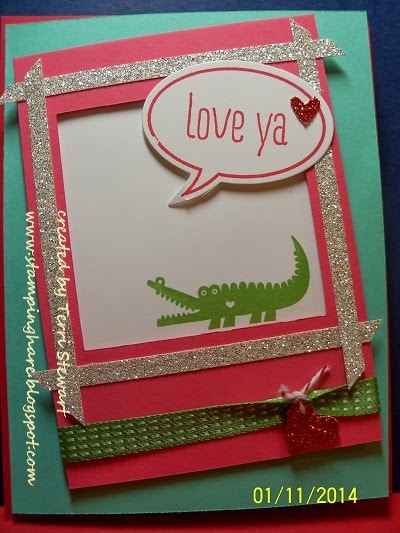 As always hanging out with my friends and stamping makes for an incredible get-away!!! 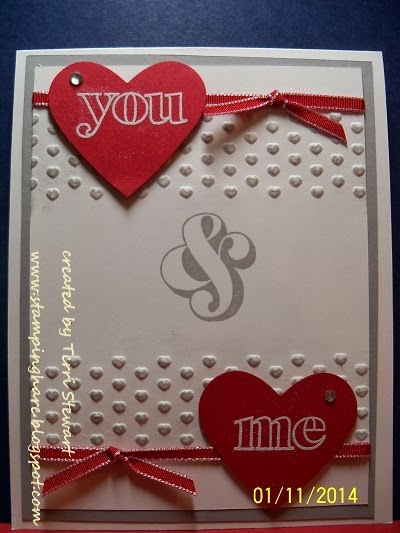 Stamping is fun....especially with your besties! 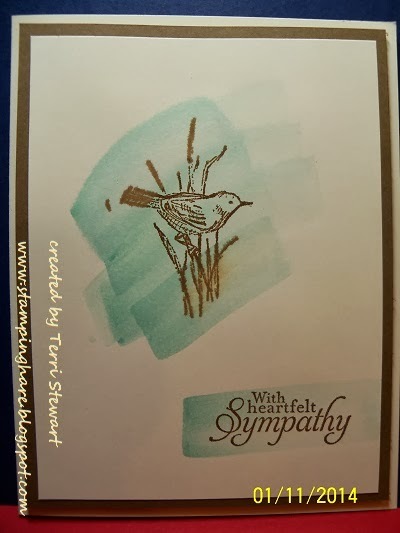 I had to share a few tidbits of exciting, time-sensitive Stampin' Up! news ....note the deadlines so you don't miss out! 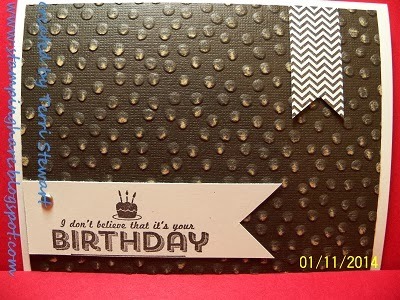 Limited time offer, expires midnight Friday May 23rd--Stampin' Up! just announced that new subscribers (and returning subscribers!) can get 50% off the June My Paper Pumpkin (MPP) crafting kit if you subscribe by Friday May 23rd with promo code: SHELLIDEAL. 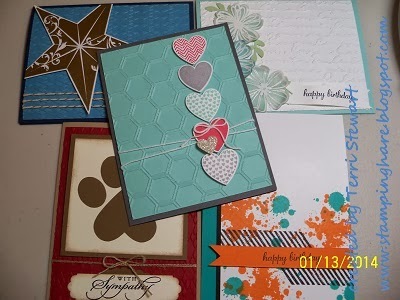 Learn more about MPP monthly crafting kits here. Click here to subscribe NOW! 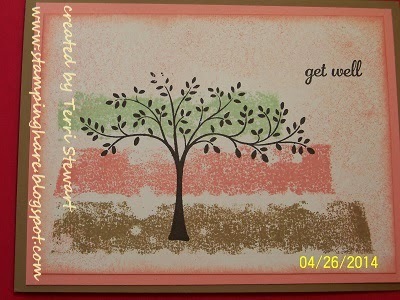 Join my Stampin Up team -- Beginning May 28th Stampin' UP! will have two kits to pick from, for 5 weeks only, through June 30th. The traditional $99 kit (with $125 in product) and a discounted kit for $50 ($55 value). Both are a great deal. With the $99 kit you can select more product up front and with the $50 kit you can use the $49 you save toward your first order that is 30% off. If you prefer the $99 kit you can join anytime, if you prefer the $50 kit be ready to join on Wednesday May 28th--click here to join my team!! 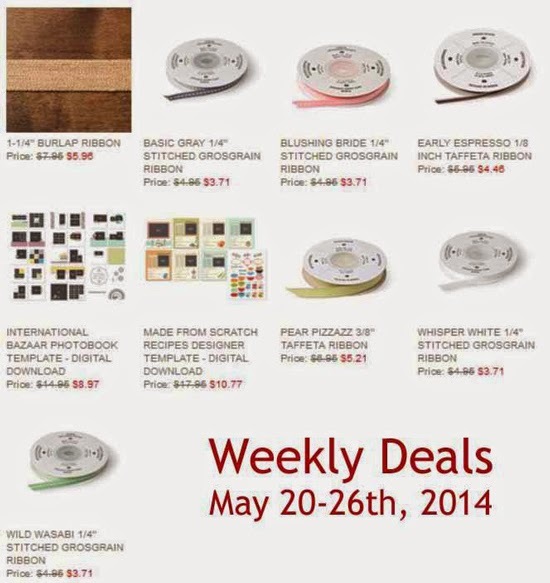 new Weekly Deals -- sale prices available through midnight Monday May 26th; check them out here . Paper Pumpkin kit subscriptions are now available! Buy 1, 3, 6, or 12 month subscriptions for yourself or give as a gift; save $1 per month with a 6 month subscription and $2 per month on 12 month subscription (and receive hostess benefits!). Beginning in June, new subscribers receive the current monthly kit instead of the traditional welcome kit. My Paper Pumpkin kits have been revamped and stepped up; plus, only current subscribers can purchase past kits and kit refills....subscribe today! 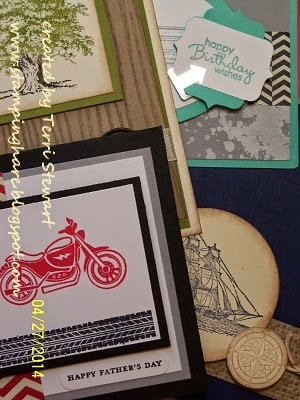 Father's Day (or masculine birthday cards) Friday May 23rd 7-9pm. Tuition is $10 or free with a minimum order. A few spots left contact me today to reserve one! 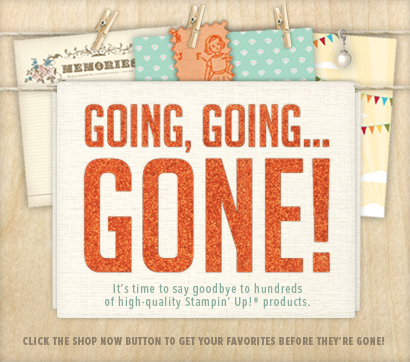 Say a fond Farewell to Retiring SU products on Tuesday May 27th, 7-9pm; you'll make 4 cards featuring retiring stamps and accessories. Tuition is $10 or free with a minimum order. RSVP today! 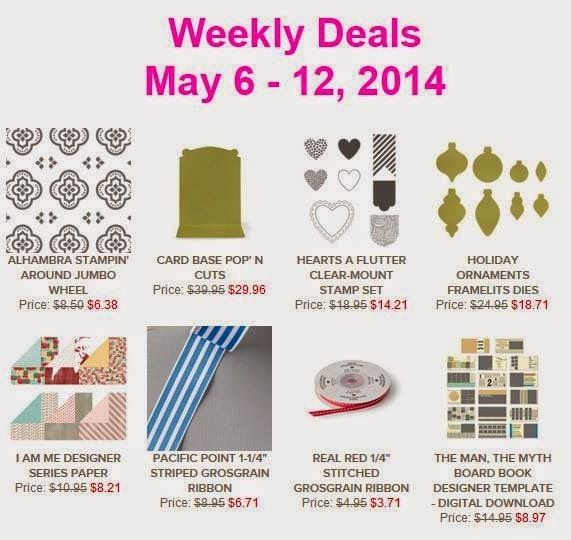 Weekly Deals -- sale prices available through midnight Monday May 12th; check them out here. 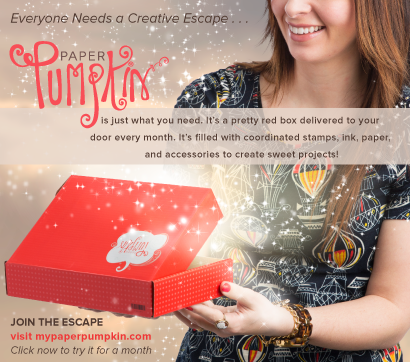 Paper Pumpkin kit subscriptions are now available! Buy 1, 3, 6, or 12 month subscriptions for yourself or give as a gift; save $1 per month with a 6 month subscription and $2 per month on 12 month subscription. Beginning in June, new subscribers receive the current monthly kit instead of the traditional welcome kit. My Paper Pumpkin kits have been revamped and stepped up; plus, current subscribers can purchase past kits and kit refills....subscribe today! The list of retiring stamps and accessories is now available; this year the retiring products will be available "as supplies last" so don't miss out! Many stamp sets and some accessory items are sold out. Retiring products will not be available after June 2nd. FYI--glue sticks and dazzling diamonds glitter are being reconfigured, not gone forever! 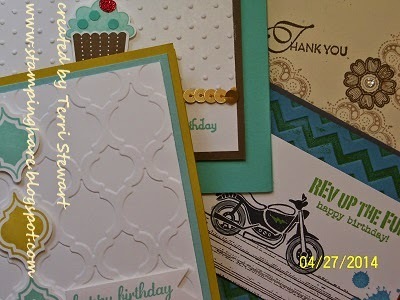 Stampin Up is partnering with Becky Higgins to offer exclusive Project Life products in Stampin Up colors and designs! To see PL products currently available including digital downloads click here; the new annual catalog (available June 2nd) will contain even more products! 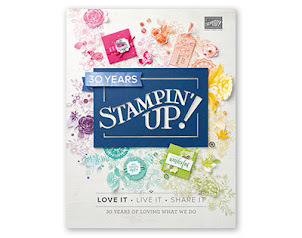 Join my Stampin Up team and you can select Stampin' Up's Project Life products and new catalog items--join today!! 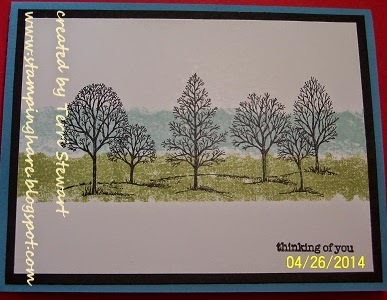 Masking Tape Technique card class, Tuesday May 13th, 7-9pm; make 4 cards featuring the masking tape technique. 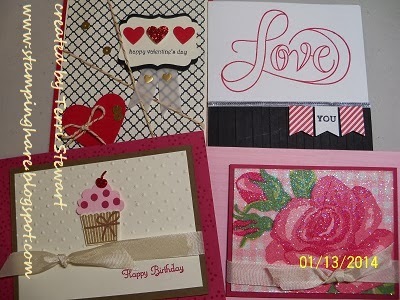 See photos below of the sample cards. Tuition is $10 or free with a minimum order. RSVP now!